I’ve said before that one of the most important parts of creating your Bible study learning strategy is to know your learning style. So once you know your learning style, now what? 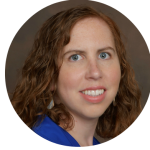 It’s time to research the best study strategies for people that learn the way you do. Me? I’m a verbal learner and an auditory learner. Auditory learners (also called aural learners) learn by hearing. 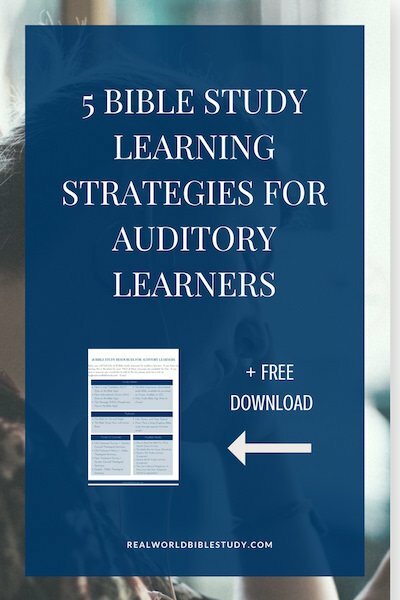 So here are my 5 best Bible study learning strategies for auditory learners. Certain sounds, OR complete silence, can distract auditory learners. For example, if my room is quiet at night, my attention gets drawn to every little sound. When I lived in the dorms in college, on the other hand (a long time ago in a galaxy far, far away! ), there was plenty of noise, and it was easy to get pulled mentally into every conversation that went by. I had the same experience in my parents’ house. On the other hand, I can do Bible study at Starbucks usually with no distraction whatsoever, because the noise has nothing to do with me. Auditory learners, get to know yourself and where you are most easily distracted or where you find your best focus. If silence and those weird house noises keep pulling you away from your Bible study, try a white noise machine (I also use mine when I’m having trouble sleeping, for the same reason!). Another way to block out distracting noises is to listen to music without lyrics. (Since we learn by hearing, auditory learners can get distracted by the lyrics to a song. Ever start writing the words to the song by mistake?) It doesn’t have to be classical music; I like to work to this Instrumental Covers for Work playlist on Amazon Prime. If hearing is the way you learn best, you want to use that for the MOST important thing you could learn: God’s Word! There are a few great options to do this. You can listen to audio versions of many Bible translations for free using the Youversion Bible app. If you want a more dramatized reading, check out The Bible Experience. Or, my personal favorite: read out loud! 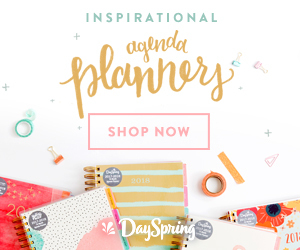 Reading out loud helps you to connect with the Word with both your hearing and the physical movements of your body. It especially helps me if I’m feeling sleepy or having trouble staying focused. 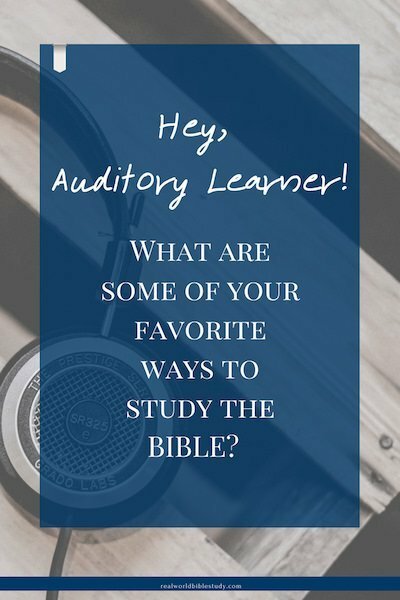 As you are starting to dig deeper in your Bible study by learning the historical or literary context and thinking about how it applies to your life, start using the great Bible study resources that are out there…but whenever you can, use audible versions. Listen to Bible study books on audible, sermons, iTunes U lectures (Fuller Seminary and Dallas Theological Seminary have some great courses available free on iTunes U), or YouTube videos. Some computers have accessibility tools that will read out loud to you (see resources for Mac or PC). Older Kindle devices have a text-to-speech function that I use constantly. (If you don’t have an older Kindle like a Kindle Touch to try this with, you can get this voice adapter that was designed for the blind to be able to read Kindle books that aren’t available in Audible versions). The free Instapaper app can convert articles to audio versions with text-to-speech. And if all else fails, read out loud. As you go through the study questions in your favorite Bible Study guide, read the questions out loud and talk through the answers out loud, too. You can even record yourself with your phone and play it back later, or dictate your notes using the Evernote app. Talking out loud lets you take a verbal action (reading) and turn it into both an auditory action (hearing) and a kinesthetic action (your body moving as you speak). Triple whammy. That’s good stuff. Ever get a song stuck in your head? The words hit you over and over, right? Song is a great way to internalize a Bible passage you are studying, to process it in a different way, or to memorize a verse. You can use songs that someone else has written (YouTube it or Google it) or you can write your own. Don’t worry about composing the written music unless that’s your gift. Just sing it, and then record it so that you can remember what you did until it sticks. It’s how my sister learned a whole lot of facts about algae in one of her college bio classes. Not so much into making up your own tunes? You don’t need to. Pick a song you know and put words to it: the Bible’s words and your own words as you reflect and process what you are studying. By the way, if you want to learn more about the Bible through song, you should check out the More than a Song podcast (thanks Fred for the recommendation!). 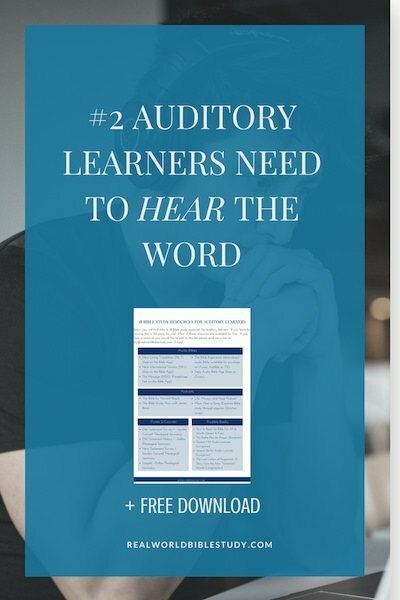 Are you an auditory learner (or do you know one)? What are some of your favorite ways to study? Which of these ones would you like to try?